September 17th, 2018 (9:43 PM). Might be a little long, apologies. I finally decided to fight Misty, she called me a coward for waiting so long to fight her. I simply ignored her childish insult. She started with Staryu and I sent out Strawberry. I didn't even give orders to my pokemon just let it battle itself. Staryu lost quickly and Misty sent out Starmie... However it was also no match for my pokemon. Strawberry quickly handled Starmie and I walked out of that gym with a badge. Misty started yelling about a rematch. I turned and told her 'whats in it for me?' She didn't respond, so I walked off. I got invited on a luxery cruise ship. It's called the SS Ann. There were many trainers on board. None of them would leave me alone, I thought it would be relaxing. I'd just stay on board and relax. But no... Whats wrong with people? I got off the ship due to people not knowing what a vacation is.... And went to the gym. I told Softpillow to fight and Surge surrendered. He knew his electric type couldn't keep up with SoftPillow. I'll say one thing about Surge, at least he's not as braindead as the previous two gym leaders. He told me I needed to treat all my pokemon well, not play favorites. I told him he needs to learn when to quit while he's ahead. I made it through Rock Tunnel. That place was so dark and eerie. I kept Vulliby out the whole time. However when I arrived at lavender town I was told it was haunted. I quickly made my exit. I do not do ghosts. After hastily making my way to Celadon town I was in awe of the towns beauty. It was full of flowers, and nature. Just so enjoyable on the senses. It got better when I made my way to the gym. Almost was sad I had to fight Erika for a badge. We fought and I won. She accepted her defeat. I asked her if she minded if I stayed in the gym for awhile. She told me it's not normal, but yes I may stay. I think this is literally the best gym. The plants smell wonderful and the pokemon are all adorable. Quite a long time has passed, but I decided it's time for me to leave Celadon City. When I arrived in Fusha I was exhausted. I needed to lay down in a bed. Literally rode down a gigantic hill to get here. I encountered a doduo along the way and caught it. Unfortunately I didn't realize how sickly it was, by the time I got it to the pokemon center it was gone. Whatever kind of a dumb looking pokemon anyway. As I was out, they had us 'fish' for a pokemon. However they told us no battling is allowed. As I was fishing I hooked a Dratini. 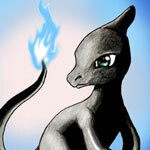 However who wants a Dratini? It looks like a snake... So I threw rocks at it until it ran away. After I had a good nights sleep I picked up my pokemon from the pokecenter. We went to challenge Koga. I saw Koga in his gym, walked over to him.. But this guy thinks he's cool with his invisible walls. I watched trainer after trainer walk into wall after wall sitting there waiting. I wasn't going to be one of the dumb trainers walking into walls so I waited for Koga to leave his gym. I challenged him then. Beat him with SoftPillow and Villiby. He stood no chance. I demanded he give me a badge, which he did. Told him only a weak gym leader would hide behind invisible walls. He just laughed at that comment. The next gym is in Saffron. I hear the gym leader is a psychic. Why can't these gym leaders just line up to lose? Why do they all have to be in different towns, this is such a waste of time. I bet it's so they don't end up losing as often. Whatever, I'll go to Saffron in the morning. Just outside of Saffron city, the 'guard' told me I'm arriving at the right time as Team Rocket was just defeated. As I moved to leave the building and enter Saffron City..... Something, no someone appeared in front of me. She introduced herself as Sabrina, the Saffron city gym leader. I screamed and ran off as clearly Saffron City is haunted. I just had a really long day and am too tired to update any further. Feel my writing is suffering from being tired. Will include that in the next update. September 18th, 2018 (11:06 AM). New Update, Yays! Might have a little less detail tho, cause I'm in a bit of a rush, but here goes. Also, I realized that I can't catch a mon from every route like I've been doing lol. Anyway, we moved on, and stayed the night in a rest house along Route 5. So, apparently I can't go into Saffron City yet, because the road's closed? What road? Anyway, I went through the Underground Pathway to get to Vermilion City(AN: Which is an extremely bright shade of orange, yikes). Once I was there, I got an Old Rod, so I did some fishing, and caught a Magikarp which I named Tsunami. Then we went to go train him up on Route 6, and as it got late, retired to the Poke Center for the night. Ah, unlucky day number 13. Yes, I'm somewhat superstitious. Anyways, I had a ticket for the S.S.Anne, so I decided to get on board and check it out. Turns out, it's a cruise ship for trainers. As soon as we got out of one fight, another trainer wanted to battle. It got so bad that Alucard didn't make it through, as there were no Nurses on board(you'd think they would have a nurse on a cruise ship for trainers, but noooooooooo). We also fought Z on board, and KingSize soloed his team. Then, right as we left the ship, it left the harbor. Good riddance. We spent the day burying Alucard and mourning. So, Lt. Surge is kinda an idiot. War must have broken his logic, but even if he hadn't still wanted to battle after seeing KingSize, I would have forced it, because I wanted to avenge Alucard. And, Four Body Slams later, and we had the Thuder Badge, and TM24 Thunderbolt, which I taught KingSize. September 18th, 2018 (7:24 PM). Question: Am I allowed to put the Cut Slave in the PC/release it whenever I want to, since it's technically not here anyway? September 21st, 2018 (5:47 PM). I'm still playing, I hope everyone else is as well. But I'm having a rough time going off memory on route 19. Think it would be cheating using a map on google... So. September 23rd, 2018 (11:35 AM). This seems really cool! Think I could join the party? Backstory : A rather pampered childhood, but was bullied in school. While she has gotten over whatever trauma she suffered due to said bullying, there are times when her past comes back to haunt her. Personality : Tries to act laid-back and like she doesn't care, but is a hard worker and a kind, thoughtful person at heart. Optimistic, friendly, with an appreciation for dark humor. Introvert. Is this all you need? September 24th, 2018 (11:43 PM). Due to having awful luck with flying pokemon and not wanting legendaries. September 25th, 2018 (7:25 PM). Sorry I haven't updated in a few days, I've had a few family issues. Don't worry though, I should have an update up sometime tomorrow. September 28th, 2018 (4:01 PM). October 5th, 2018 (8:08 PM). Edited October 5th, 2018 by Brewmaster. But I don't believe this challenge exists anymore. I'll save it in my folders for if people ever return. October 6th, 2018 (3:25 AM). It's a shame, but Ethmya wasn't here since 23rd of September.